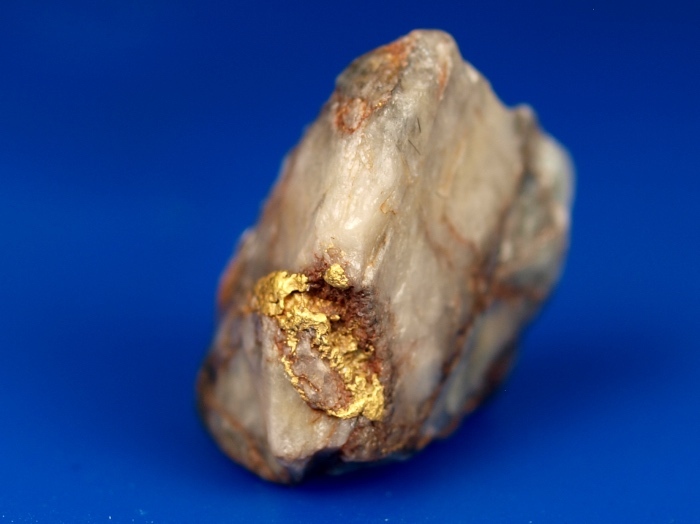 A nice little gold quartz specimen from the famous Rich Hill in Arizona. 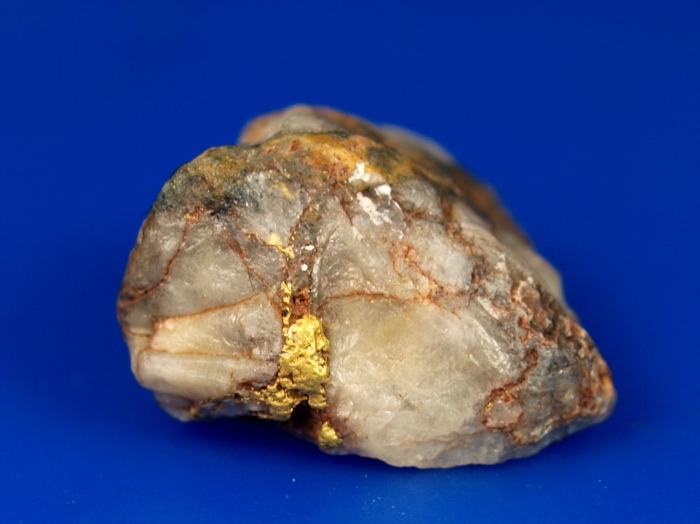 A fine specimen with a nice thick outcrop of gold. 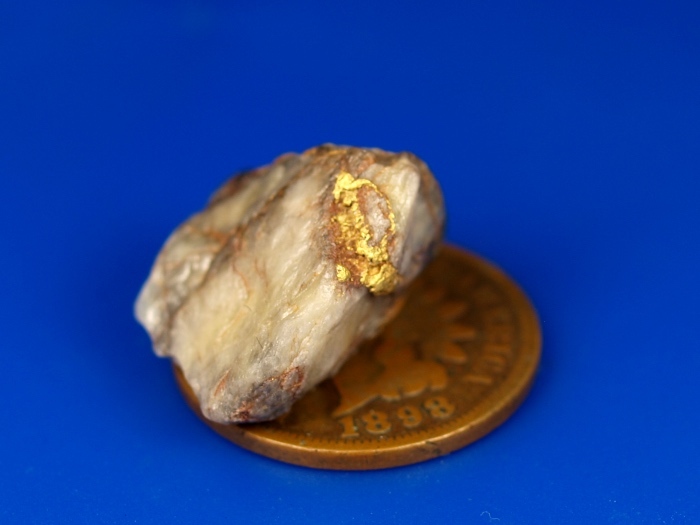 Total specimen weight is 2.91 grams.